As many of us (in the U.S.) spend the next few days shopping, cooking and eating; I hope that we are each able to take a few moments this week to reflect on the pretty amazing list of things in our lives to be thankful for. In a culture that is built on always wanting more, let’s push back for a moment and assess the incredible abundance that is present in most of our lives. This week I plan to step away from the computer, put away my phone, and focus on the beautiful little details of real life. I want to relish in the pleasure of cooking… not to take photos of it, but to simply feed my family delicious food. I’m going to embrace the joy of doing dishes… being thankful for dishes to wash, warm water to clean them with, and an able body with which to work. I hope you are able to find a long list of things this week to be thankful for as well. 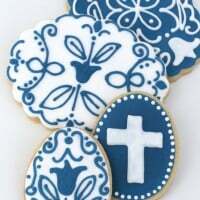 This set of cookies was made with my Gingerbread Cookie Recipe, and decorated with Royal Icing. 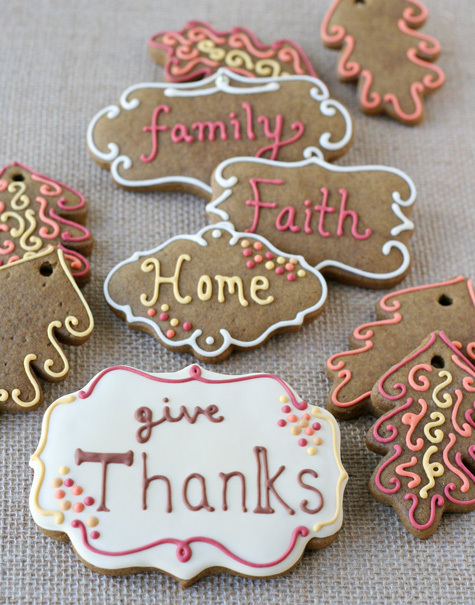 *Supply note- Assorted plaque shaped cutters from Copper Gifts, with the exception of the “give thanks” shape, which was a gift from a friend. Glory, I’m thankful for your post:) We should each be able to list an abundance of blessings! 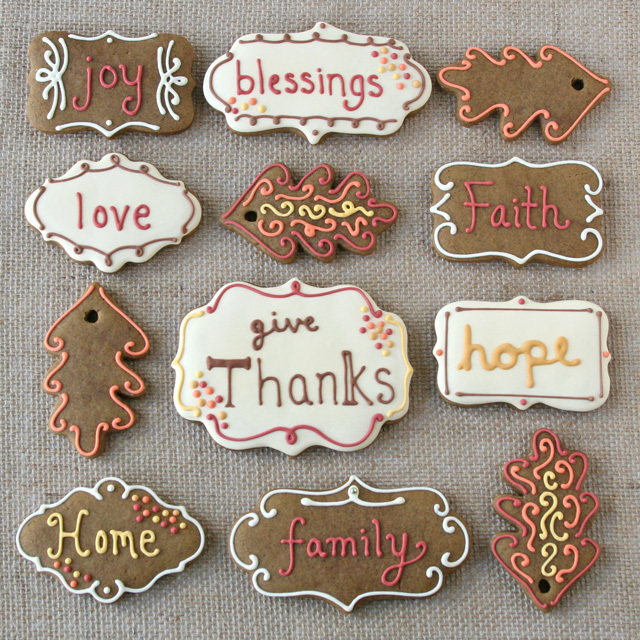 Enjoy this time of Thanksgiving with your family:) Your cookies are BEAUTIFUL! 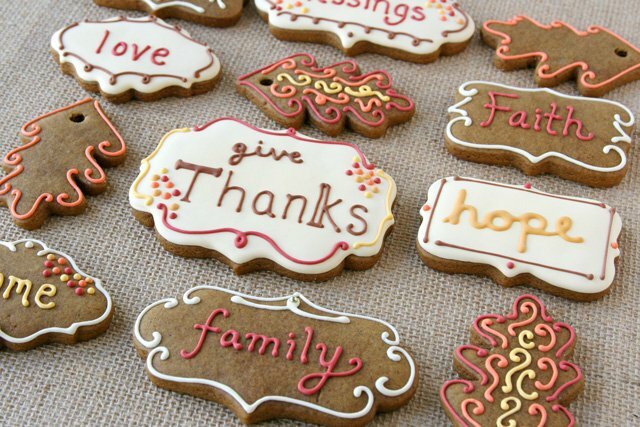 I love the idea of writing positive messages on cookies! Have a wonderful Thanksgiving holiday! Such a beautiful post and a great idea. gorgeous!!! have a wonderful Thanksgiving week! Love this post, Glory <3 Have a wonderful Thanksgiving with your family. What a beautiful ( and timely) reminder! I think we forget that even when our circumstances are not ideal, we still have much to be thankful for! Glory, my daughter and I were just talking about this, about finding thanksgiving in everyday tasks. I told her when she and her brother were little, I focused on their cute little clothes in bright colors and patterns, clean and fresh as I hung and folded them, vs. the endless laundry with babies. She shared in her piles of homework that she is thankful for being challenged so she is ready for college in a couple years. Happy Thanksgiving, to you and yours! I really love your collection. Gracias. Aunque aquí en Chile no celebramos Thanks Giving, me uno a la acción de gracias, sobre todo para agradecer por tener energía y salud para cocinar , que es lo que más me gusta hacer. I love to be a Chef, too.. . Thank you for sharing yourself and your talent in your blog! So MUCH to be thankful for here! Thanking you for sharing your thankful heart! Happy Thanksgiving! 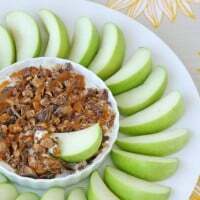 Love this post and your cookies! Those are very elegant and my favorite ones are the leaves with the swirls. Great work! Have a wonderful Thanksgiving! Love you! i was googling thanksgiving images and your cookies showed up, amidst a bunch of turkeys, and i had to stop by and say how beautiful they are. so wonderful. 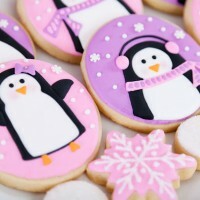 These cookies are fabulous! And yes, there is always something (many things) to be thankful for! ooh these are so pretty. I need to get my hand on these cutter, they are so pretty looking. Love the colors. Hope you had a nice Thanksgiving. Gloria, I’ve been a long-time fan of your blog! 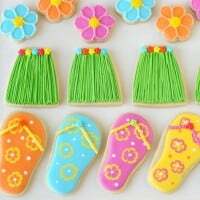 Can you please share the color shades you used for the cookies? I just love the tones and now inspired to make Christmas cookies. Thank you for sharing! Hi Michelle, Thanks! I’m sorry, I didn’t keep track of the color combos. I only use Americolor gel colors. The colors that I think I used for these are egg yellow, warm brown, ivory, orange, and maroon. Hope that helps a bit. I made my first batch of these cookies today and they were amazing! Thank you for another great recipe.